From acclaimed stage production to groundbreaking anthology, transVersing is one of the first trans-authored traditionally published books in NL history. Tim Baker talks the demise of Hey Rosetta!, heading back to the basics with his live show and diving head on into his new solo album, Forever Overheard. 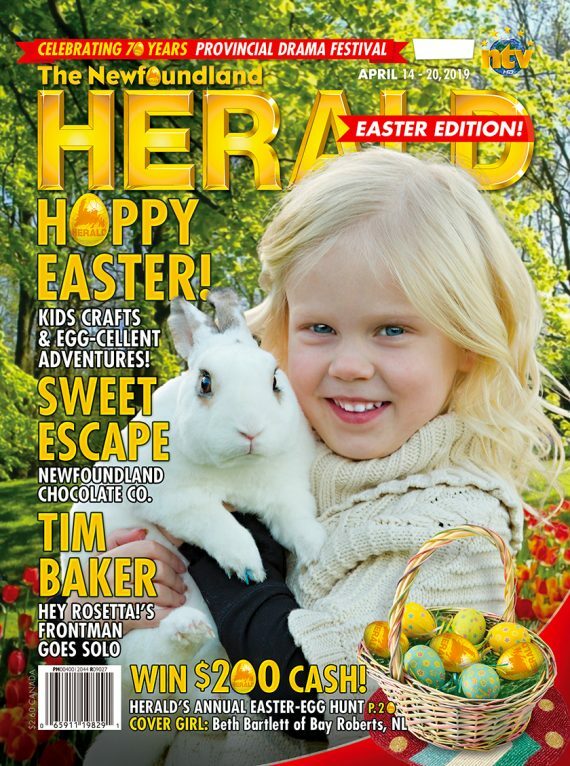 Spring into Easter with The Herald! Time for fun and games and special treats to make this Easter memorable for your little ones! The 70th annual Provincial Drama Festival celebrates a lasting legacy of greatness in Newfoundland and Labrador’s theatre culture.